It was not very long ago when we were basking in the warmth of a wonderful Maine summer. Now it is time to get ready for the coming winter. What have you done to prepare your home? What options should homeowners consider when preparing for a cold Maine winter? a home’s energy consumption and outlines how to improve its overall energy consumption. This information can assist a homeowner to realize significant savings on utility bills and create a more comfortable living environment during the cold winters. An energy audit will cost between $300-$600 depending on how extensive the audit and there are a number of home inspection companies in Southern Maine from which to choose. When choosing a company to perform the audit, check to make sure they are insured and bonded. Are you familiar with Efficiency Maine (EM)? Efficiency Maine is an independent administrator of energy efficient programs in Maine. EM's mission is to promote cost effective energy savings. Through Efficiency Maine, a homeowner can access a number of resources including determining your homes energy efficiency, energy savings technologies and available incentives and rebates. Efficiency Maine can be contacted at INFO@EFFICIENCYMAINE.COM, 1-866-376-2463. 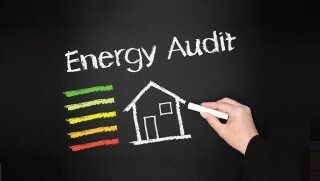 What if you do not want to pay for an energy audit. What can you do yourself? Depending on your budget here are some suggestions to improve your home efficiency. Start by cleaning and servicing you furnace and hot water heater. Be sure to change the filters annually. Check around windows and door frames for any air leaks or drafts. An inexpensive tube of silicone caulk can greatly reduce drafts and heat loss. Replace any incandescent bulbs with energy efficiency LED bulbs. Install low flow shower heads and finally unplug all unused chargers. Bigger ticket projects can reap even greater energy efficiencies for homeowners. Add or replace insulation in the walls and the attic. When choosing insulation pay close attention to the insulation R-value. Your local hardware or building supply store representatives are well informed and can help you choose the right insulation for your project. If your home has a HVAC system, get it serviced. This can be costly but well worth the cost. Finally, is it time to replace noisy old appliances with an Energy Star rated appliance. At the time I was writing this article, the local weather forecast today calls for snow and cold rain; now is the time to get ready! Stay warm! Kevin Ronan,Associate Broker affiliated with Alliance Realty, 290 Bridgeton Road in Westbrook brings this article to you. He can be contacted at 207-838-4855 or Kronan388@gmail.com if you need any assistance. 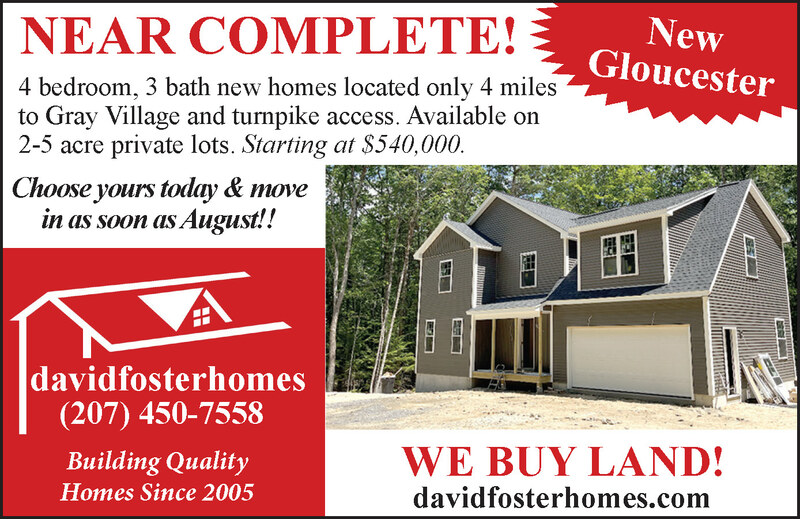 In Maine the majority of listed, already existing, residential single- family home transaction closings are attended by both the buyers and sellers, who will not typically meet face to face prior to reaching the closing table (unless one party is signing in advance or remotely, so they may never actually meet). Buyers and sellers have adverse interests so one of the primary reasons that they have hired a Realtor® instead of just buying or selling property themselves is to have that added protection of a buffer or intermediary so they do not need to take on the added risks and unintended consequences associated with direct negotiations and communications. It is customary for the seller of a listed property to leave during the showings with prospective buyers and their buyer agents as well as during the buyer’s building inspections. Buyers often feel more relaxed about providing feedback and comfortable asking questions when the sellers are not present (buyers should always assume the increasing likelihood of seller surveillance devices when inside a property). There are instances, however, where a seller may not be willing or able to leave and buyers and their agents may or may not be made aware prior to their arrival and are surprised as a result. For some sellers, it is the only way that they can do this hard thing and do not intend to undermine the process while others have different motives for lingering. Sometimes a seller has been scrambling to finalize the tidying up or pet removal for a showing and happens to be in the driveway leaving while the buyers are pulling into the driveway and they meet accidentally, or the buyers may just “happen” to stop by and speak with them while they are doing yardwork or holding a yard sale. Regardless of the timing or frequency of your meetings, it is beneficial to keep the focus on cultivating a positive exchange. Keep ideas for improvement and renovation to both property and landscaping or yard to yourself. A seemingly harmless idea could possibly be sending the message to the seller that you do not like what they have done, or your plans may be removing something of sentimental weight leaving the seller feeling uneasy. Instead of sharing your vision, try to focus on telling the seller what you absolutely love about the property – the location, yard, style or features of the home and compliment what you do enjoy about it. Try not to elaborate on how you spent “tons of money” on X, Y or Z. A buyer doesn’t care how much you personally chose to spend on something and may wonder if your overall valuation is inflated as a result of such comments. Don’t feel obligated to answer questions on the spot. If you are faced with a surprised meeting and are feeling ambushed with questions as either a buyer or seller who already has agency representation it is appropriate for you to smile and nod and agree to discuss at some point, but you do not need to feel pressured to discuss on the spot without your agent or time to consider your response. The sale of a property can be particularly intricate when the purchase of one is contingent upon the sale of another, so it is important to maintain well documented conversations throughout the entire process. Working directly with your Realtor® to help with both the negotiations and communications can reduce your risks as either a buyer or a seller. If you're ready to sell your house, you don't have to wait. Selling during the holidays doesn’t have to be a disaster. Even though there are less homes on the market, buyers are out there buying at a steady pace. 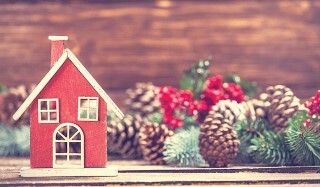 You may be surprised that there are advantages to selling your home over the holiday season. There are no seasons online. Traditional home buying and selling has evolved with the internet. While spring is still the hottest home-buying season, serious home buyers are always on the lookout. Instant and constant internet access means buyers are always checking out the latest listings. Today’s buyers do the bulk of their home searches online which is why it's critical to have a professional online presence, especially when it comes to photos. 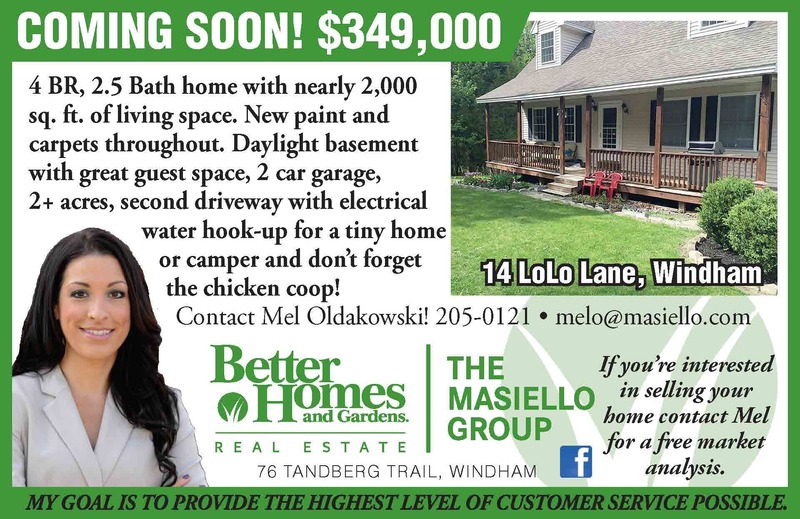 Come spring, sellers will flood the market and your home will be just another fish in a great big pond. But right now, you’ve practically got the market to yourself. Home inventory usually falls from November to December. That means less competition on the market if you list your home during that time! Buyers have fewer homes to choose from, which means you could sell your house faster. If a buyer is trudging around in freezing weather to look at your home, they are serious. 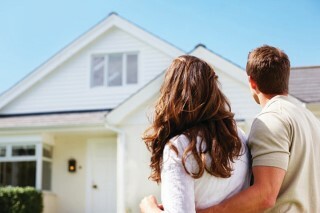 People also tend to start their home search several months prior to when they plan to purchase. Many winter buyers may also be working against a deadline, whether it’s an expiring lease, relocation, or a contract on their current home. Winter home buyers may also be motivated to capture the tax benefits of buying a home before year-end. Home buyers can write off some of the expenses of their home purchase on their taxes. There are usually multiple tax benefits of owning a home that can be taken advantage of. You may think people are less likely to see your home during their hectic holiday schedules. That can be true, but keep in mind most people have more time off around the holidays. That means more time for browsing their favorite home apps, dreaming about their future decor, and even scheduling home showings. With all these advantages on your side, hopefully selling your home in the winter won’t feel so daunting. Make sure you work with an experienced real estate agent to get your listing ready for online house hunters and serious holiday buyers. What a better way to celebrate the upcoming new year. Call Lisa today for all of your real estate needs. 207-653-0823.